A new concert series dubbed OK LÀ will kick off later this month in Montreal, and the first show is being co-presented by Heavy Trip and Constellation Records. The action will begin on July 15 at stationnement Éthel in the Verdun borough of Montreal. 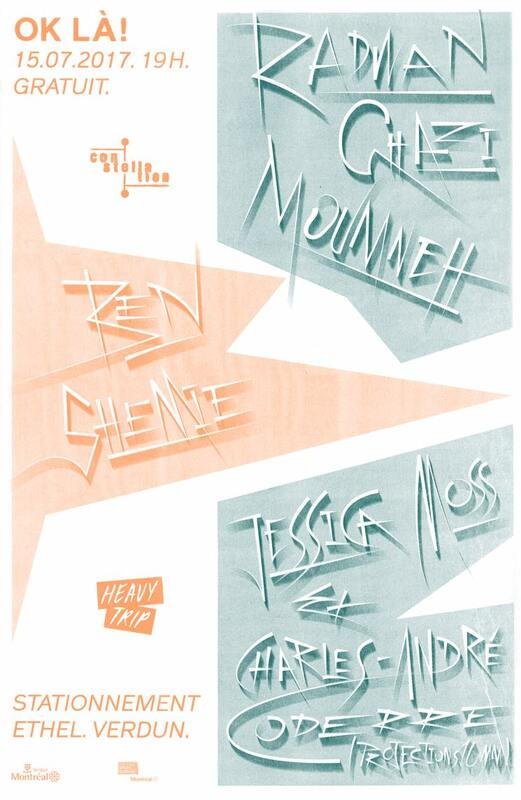 Radwan Ghazi Moumneh of Jerusalem in My Heart, Ben Shemie of SUUNS and Jessica Moss of Thee Silver Mount Zion are all slated to perform — yes, on top of the parking garage — and they'll be accompanied by the 16mm projections from artist Charles-André Coderre. Admission to the show is free and doors open at 7 p.m. Find full details for the upcoming event over at its official Facebook page.